Anyone else in love with the Valentino Rockstud Sandals? Hands up!!!! Me too but I am not in love with the price at all. Who doesn’t want the real thing but when I have to choose between my daughter’s tuition and the real Valentino Rockstud sandals, my daughter’s tuition being paid will win every time. The good news is I found the greatest, most identical dupe. The dupe is from Lashoes which I found on Poshmark. Poshmark is a resale app that is pretty cool. You can buy and sell items. Lashoes is a boutique so these shoes are brand new and come with packaging and a box. My shoes shipped SO fast. I have gotten compliments every time I wear these dupes. They are very comfortable and come in a bunch of colors. They come in whole sizes so I would size up as they run small. 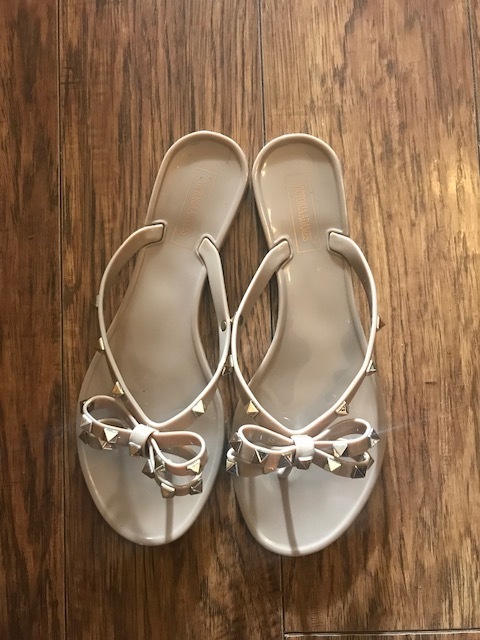 I have the link under the picture for both the real Valentino sandals ($375) and the dupes by Lashoes ($15). Hope everyone has a great night and thank you for reading!